Easily Discover How To Increase Your Productivity & Feel Happy With Your Life Success! You CAN take control of your life, reach your full potential, and create unprecedented happiness and success. I'll show you how with this worksheet, "8 Triggers To A Highly Successful Business and Quality Of Life". 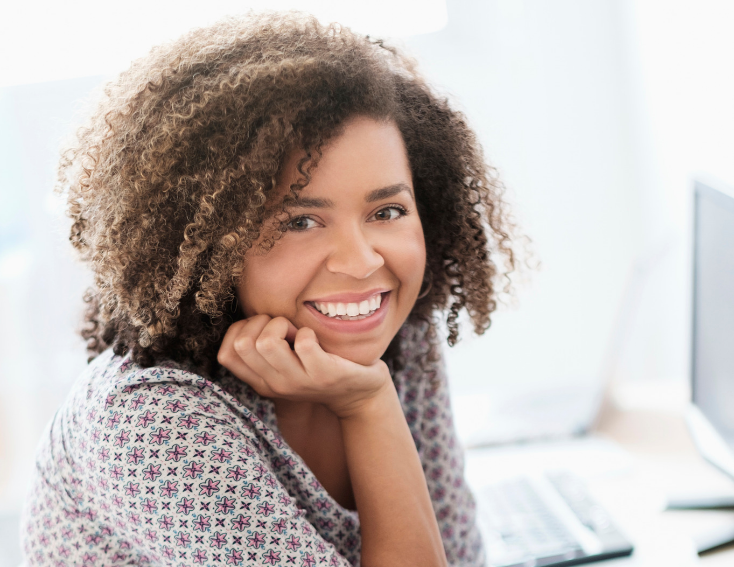 Learn how to get your confidence back so you can start doing more of the things that you enjoy and ignore the roadblocks. 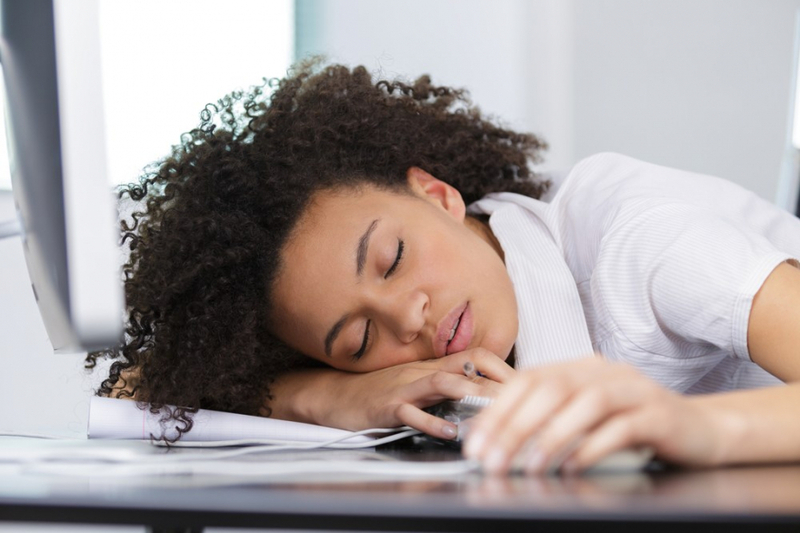 Identify your most common areas that may be preventing you from feeling satisfied and effective in your business. Discover the areas of your life that may cause you to feel worried or overwhelmed with the thoughts of whether you will be successful. Become empowered with easy and simple to use strategies so that you can feel confident again, eliminate uncertainty, improve team building, increase networking connections, and return to a life of satisfaction and quality. Start to take action towards the professional success you desire! 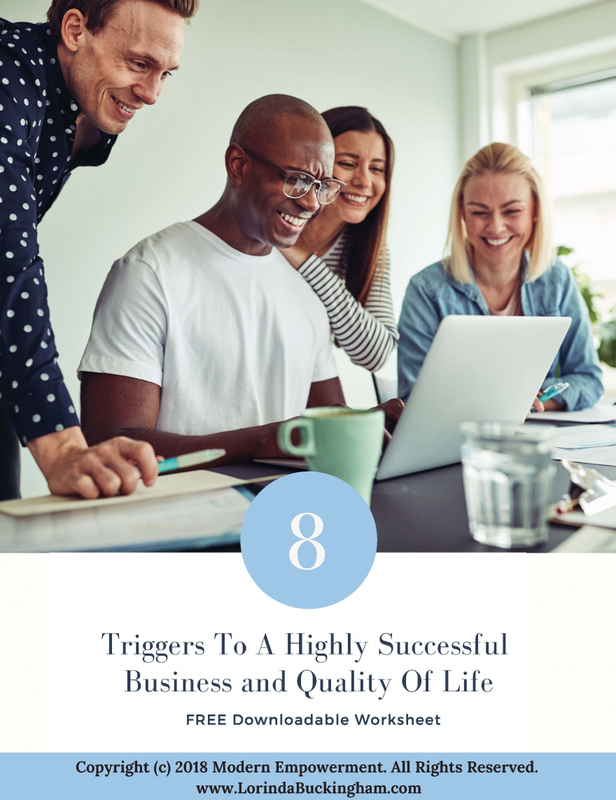 "8 Triggers To A Highly Successful Business and Quality Of Life" Worksheet. 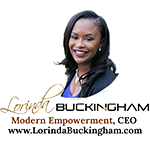 "I have been participating in my first ever Mastermind Group, facilitated by certified coach Lorinda Buckingham of Modern Empowerment in Peachtree City, GA. It has far exceeded my expectations! Lorinda has made a believer out of someone who used to be skeptical of “coaching.” I leave every session, not only inspired, but empowered to make small changes even as I dream BIG!" If one conversation could help get you the results that you desire, would you take it? Overwhelmed With Building A Business & Life To Succeed? Click here to book your 45 minute Jumpstart Session and start achieving the your business and lifestyle goals TODAY!